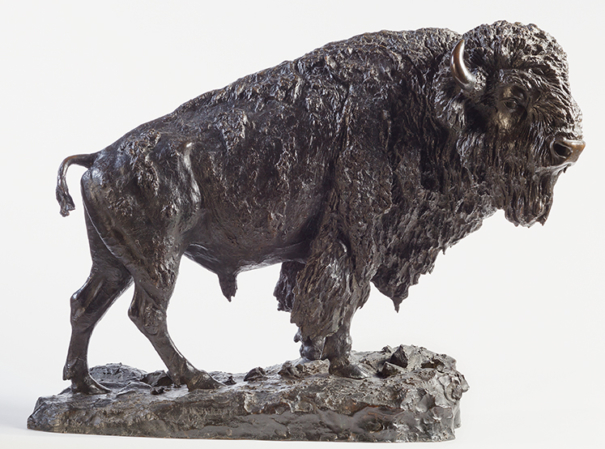 Animals: Wild and Captured in Bronze was organized by Tacoma Art Museum and made possible through the generous support of the Haub Family Endowment. Above: Henry Merwin Shrady, Elk Buffalo (The Monarch of the Plains), circa 1900. Bronze, 22½ × 24 × 13 inches. Tacoma Art Museum, Haub Family Collection, Gift of Erivan and Helga Haub, 2014.6.124. Photo © TAM, photo courtesy of David J. Swift.